Home / TdG / PROGETTI / SVEglia / and let my EVS begin! In Athens airport I met with my partner Giorgiiii and we flight together to Napoli. It was a really long day so since we arrived in Napoli we were really tired. Guisy and our director Maria welcomed us to the airport and we get the road to the beautiful city of Caiazzo. 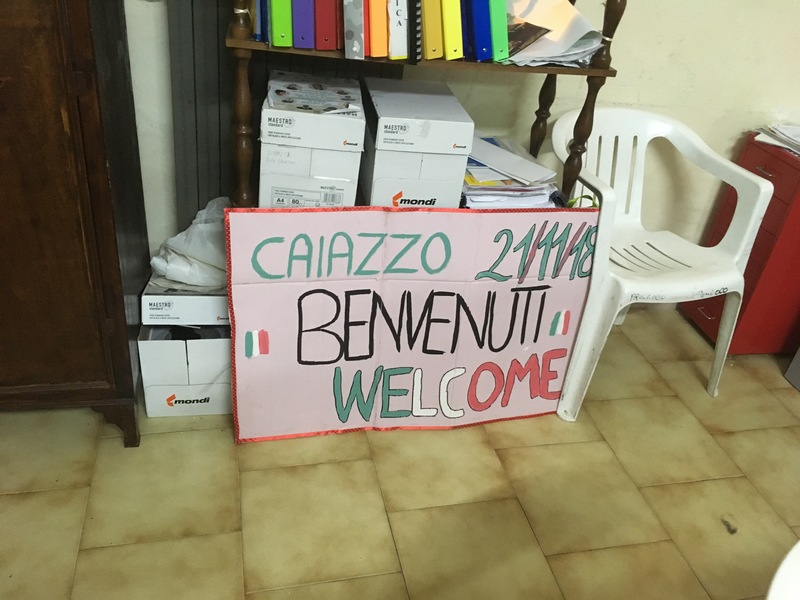 However, the only thing we need was to lie to a bed our organization and the people of Caiazzo organized for us a welcome gathering. The fact that we met with these amazing people made us forget everything. Before we came to Caiazzo we knew that it will be a really small place but we didn’t know that it is such a historical place surrounding by an amazing natural landscape. Entering the city and especially the house that we stay I felt like playing in an epic movie and I still have that same feeling until today.